A grand avenue of cork-trees welcomes those seeking the casual yet refined dining experience that is St. Hugo. 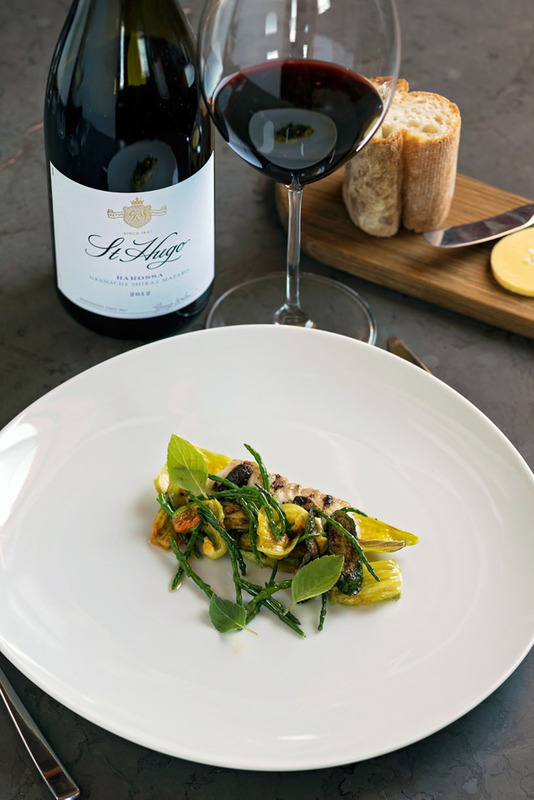 It is here where wine is the star and food is its stage in a tantalising show of harmony. Enjoy a pre-dinner cocktail on the deck or dine outdoors when the weather is at its best. Enjoy the intimate indoor settings with marble top tables, a cosy and most welcomed fireplace during the cooler months, or get in front of the action with a seat at the ‘chef’s table. 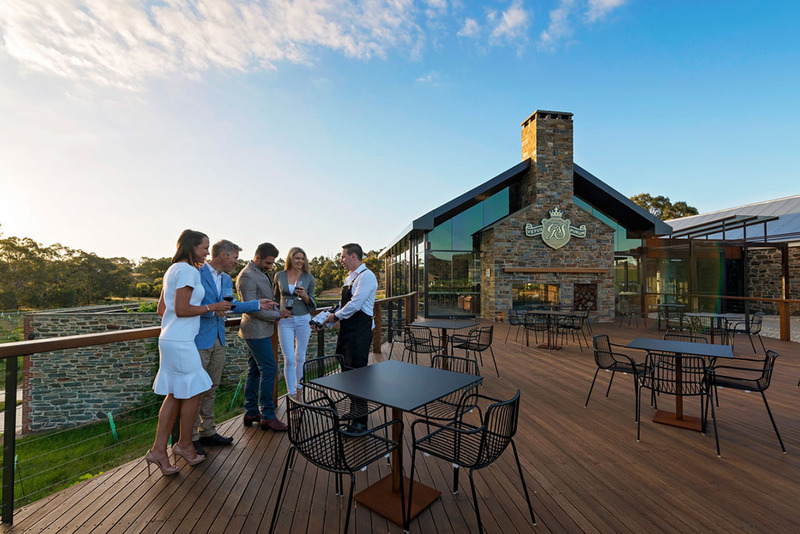 Elegant, marble top dining tables and classic Barossa vineyard views set the scene at the Rowland Flat restaurant which was officially opened in September, 2016. 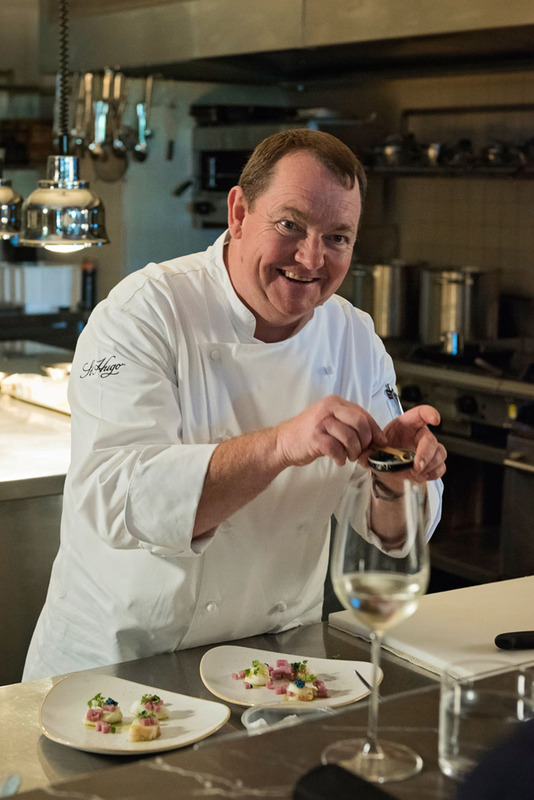 Executive Chef, Mark McNamara moved to the Barossa 25 years ago, lured by its reputation as a fine food and wine destination. 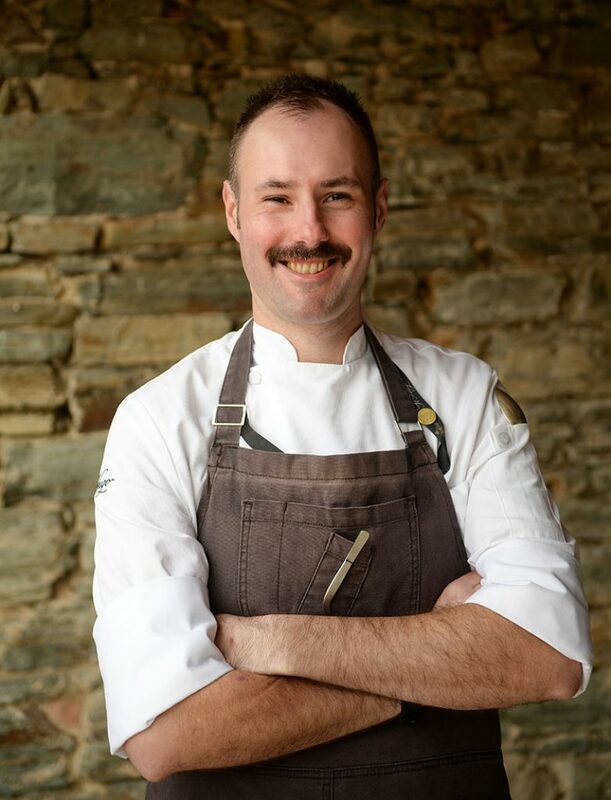 Today he leads a team who work alongside wine makers to create menus that both surprise and delight. “Collaboration is the cornerstone of the food experience at St Hugo,” Mark says. After forty years honing his skills as a chef and gathering knowledge, Mark now finds himself as a mentor; not in a formal, structured way, but rather as someone who inspires the next generation. “I love to share my learning with the people I interact with, customers and colleagues alike,” he says. 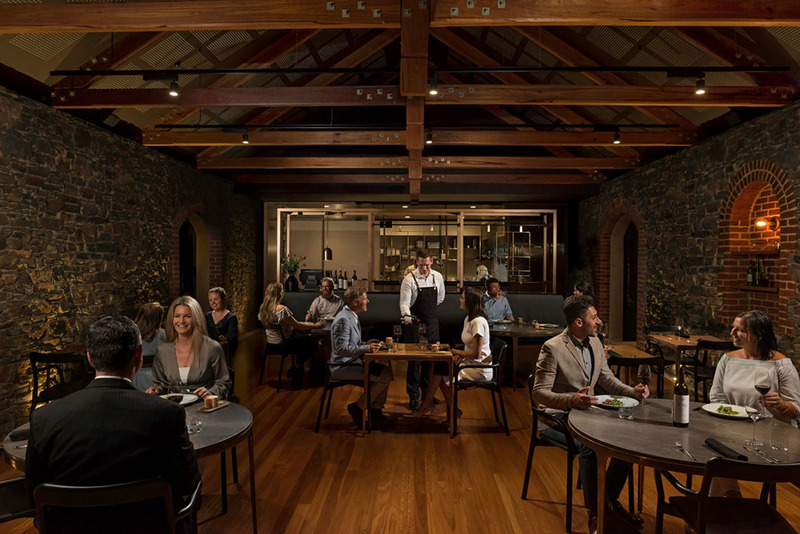 A chef’s table looking into the St. Hugo kitchen allows diners to witness that knowledge in action an opportunity to speak with the chefs to gain an insight into the personalities behind the plate. 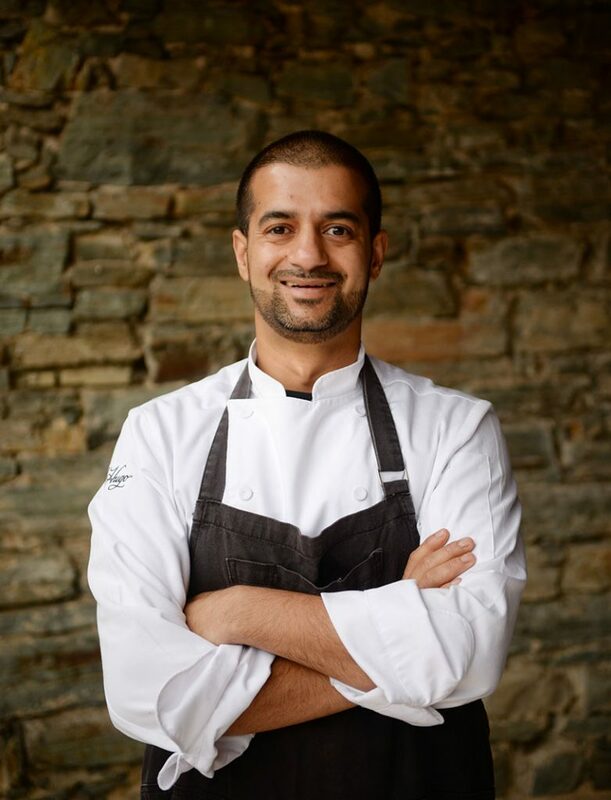 Characters like Sunny Chawla, of Tanunda, who recently stepped into the role of sous chef. A former civil engineer in his home country of India, the 32 year old father of two moved to the Barossa back in 2008 to study commercial cookery at Nuriootpa TAFE. Sunny has fulfilled his childhood dream of becoming a chef and says he loves the way St Hugo challenges him to be creative with its focus on wine. He describes the way chefs are given wines to taste alongside 70-80 ingredients to find the perfect flavour combination. Sourcing local produce is always a priority and whilst the choice of protein is important, it is the final piece in creating a menu. “They might give us a Shiraz and we have no idea what dish is going to go with that unless we try it with every ingredient to find what works best,” says Sunny. Bringing his team together in a united force of creativity is what Sunny says is his strength in the kitchen. On his days off, he enjoys a round of golf at Tanunda Golf Club and spends Wednesdays at Impact Church volunteering as a barista. “I take my kids there, they have a play and I make maybe 50 to 60 coffees in a day! “It just gives me some relaxation…I’m doing something for someone else rather than sitting around at home doing nothing. And fun seems to be an integral part of the St. Hugo team. Chef de partie, Giles Hussey, of Nuriootpa says keeping up morale in the kitchen is his specialty. “I’m usually the Dad jokes guy, the one making puns,” he laughs. Giles is behind their appropriately named “Guaca – bowly” night lawn bowls team who take to the green during Summer months. He’s also the one growing his moustache as an avid fundraiser for Mow-vember, a men’s health initiative. This camaraderie is a powerful ingredient as chefs work to produce the ultimate wine and dining experience. 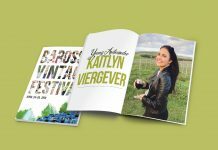 “We want to showcase what we are doing in Barossa’s backyard,” he says. This same enthusiasm is in abundance in the team’s youngest chef, Hayley Kavanagh. 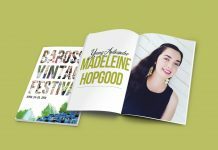 Fresh out of her apprenticeship, the 22 year old started out at Jacob’s Creek before being offered a position at St Hugo. 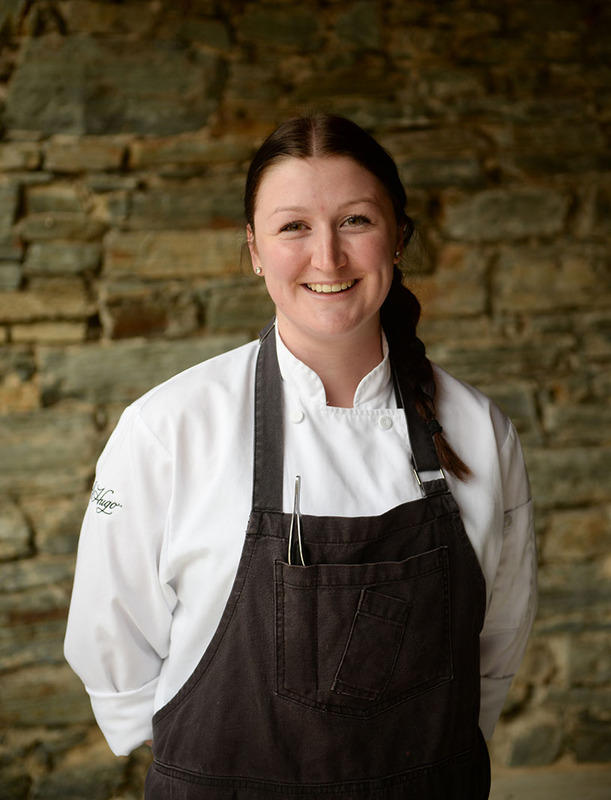 “At this point in your career, you do get comfortable but you have to think how you are going to grow as a person and how you are going to grow as a chef , so I took it!” she says. 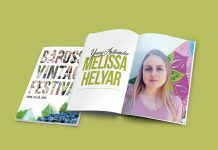 Fresh new ideas and youthful exuberance is what Hayley brings to the kitchen and she thrives on the creativity. “This whole process we work with, I have never seen before. “It’s very different but it’s great because you come up with these dishes. They might have seen a version of it, but it’s not going to be like anyone else’s because of the way we structure our menu,” explains Hayley. 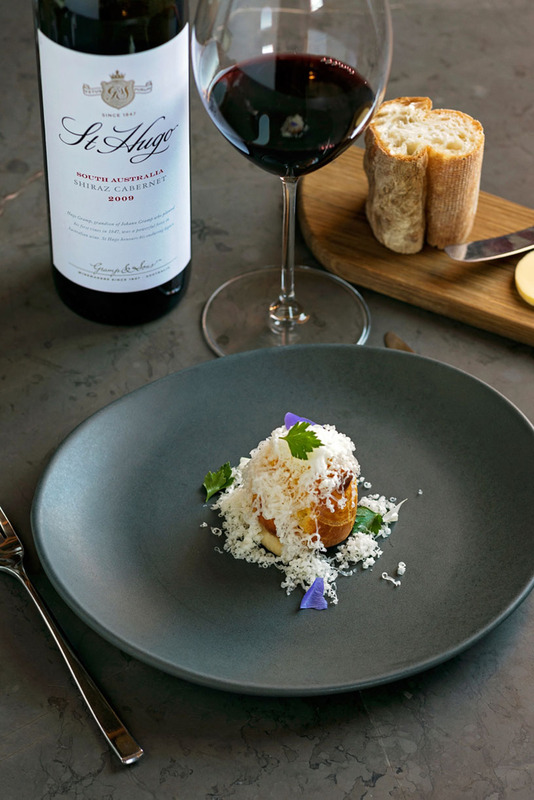 She encourages food and wine lovers to discover St. Hugo, which took out four prestigious awards in 2017 including the Gourmet Traveller Wine Australia’s Cellar Door with Best Food award; two South Australian Tourism awards and a silver award for best new regional restaurant in Australia.